Michele Bachmann: Can She Survive Being Taken Seriously? If you had to sum up the favorable impression Representative Michele Bachmann has made thus far on the 2012 campaign trail, it might be with the words: “She doesn’t seem crazy at all!” Expectations surrounding Bachmann, based on her well-earned reputation as a fringe character in the House Republican Caucus, have made it easy for her to make a positive impression. Reading the reviews of her performance at the June 13 presidential candidates’ debate in New Hampshire, sprinkled with words like “articulate” and “polished” and “disciplined,” it’s very clear she’s had a low threshold to cross. But this week, with the impeccably timed formal launch of her presidential campaign, Bachmann is about to enter a period of enormous peril in which her background, ideology, and rhetorical habits are about to get the kind of exposure only a Kardashian could enjoy. Can she possibly survive as a viable contender? The hard-core Christian Right/Tea Party folk who are Bachmann’s base in Iowa and elsewhere, of course, don’t need any introduction to her. She’s been on the television and radio shows they patronize, and many have undoubtedly contributed to her vastly expensive congressional campaigns. They’re fine with the more outlandish things she’s said over the years, but also understand it may be necessary to bring Americans along slowly to the recognition of the high-stakes holy war that Bachmann is waging on their behalf as a self-described “constitutional conservative” (a heavily loaded term connoting a belief that liberalism—fiscal, economic, or cultural—is literally un-American and needs to be permanently vanquished) in the field. 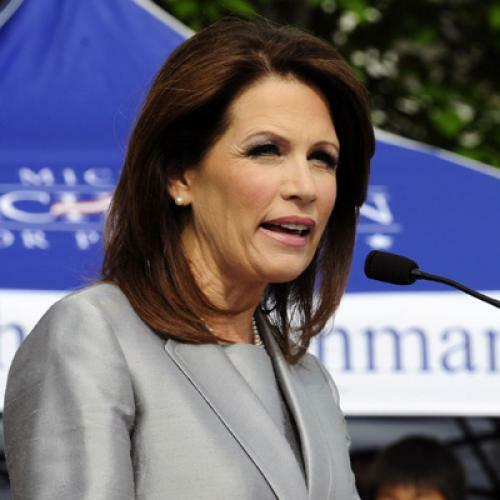 For the rest of the GOP, however, attitudes towards Bachmann may depend on what tack her critics choose. The clear template available is the sort of questioning and mockery faced by Sarah Palin, with whom the media inevitably identify Bachmann for all sorts of good and bad reasons. You could call it the “civics test” approach, where the candidate is directly questioned about her knowledge of American history and world events, and “gotcha’d” for unforced errors (e.g., Palin’s recent revisionist account of Paul Revere’s ride, and Bachmann’s relocation of Lexington and Concord from Massachusetts to New Hampshire). As Palin’s experience shows, this sort of scrutiny can be devastating over time, particularly if the target reinforces it by constantly complaining about the treatment. But what if Bachmann, unlike Palin, keeps on proving she’s not “a flake” and doesn’t do the sort of thing that makes it hard to take her seriously—e.g., resigning her office? Bachmann honed her view of the world after college, when she enrolled at the Coburn Law School at Oral Roberts University, an “interdenominational, Bible-based, and Holy Spirit-led” school in Oklahoma. “My goal there was to learn the law both from a professional but also from a biblical worldview,” she said in an April speech. Bachmann’s long history of identification with truly hard-core Christian Right causes, from religiously oriented charter schools and home-schooling, to the picketing of abortion clinics, to her singular hostility to gays and lesbians, would surely trouble more than a few voters if fully exposed. The big question is who, specifically, will raise them, and how much credibility will the person have? It’s doubtful, for instance, that Republican caucus-goers or primary voters will be upset by the sort of insult-laden outrage expressed recently by Rolling Stone’s Matt Taibbi in his review of Bachmann’s ideological history. But you have to assume that more than a few Republican elites are worried about her recent ascendency, and the possibility that she could quickly eliminate the inoffensive conservative alternative to Mitt Romney, Tim Pawlenty, in Iowa, creating a divisive slugfest down the road. On the other hand, Republican elites have long had to learn not to snicker out loud at some of the religious views of their Christian Right allies. This is probably why they chose to attack Mike Huckabee in 2008 on the basis of his heterodox economic policy sentiments rather than his theocratic leanings. Perhaps, then, they will find another angle to go after Bachmann, such as her occasionally isolationist-sounding foreign policy views. But the bottom line is that Bachmann’s moment in the sun makes her vulnerable to attacks that are being formulated as we speak, and we’ll know soon enough who takes the lead in cutting her down to size, and whether it actually works.